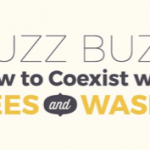 have ya’ll seen my husband walk in to our latest #Bee swarm? Last year, after an episode on HBO’s series True Blood where Bill (Stephen Moyer) said to Pam (Kristin Bauer van Straten) “Oh good! 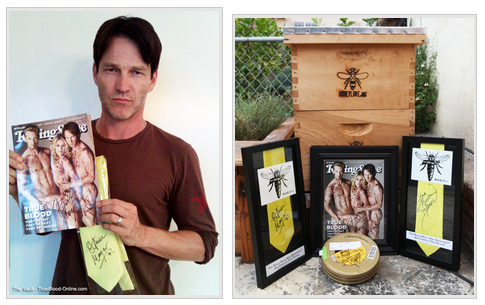 The world needs more beekeepers!” the actors generously donated a few sweet items to our silent auction for our annual HoneyLove Yellow Tie Event! CLICK HERE to get tickets to this year’s YELLOW TIE EVENT (June 8th, 2013)!! A $3.3 million research project into colony collapse disorder (CCD), the phenomenon of honeybees mysteriously dying in droves, lost thousands of its test bees to thieves. 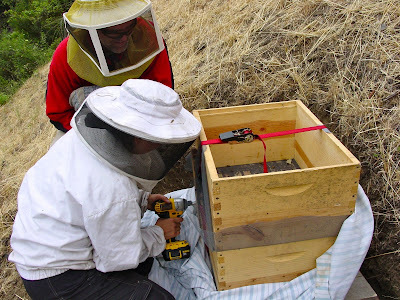 Researchers at the Center for Neurosciences at Dundee University in Scotland, reported that the British black bees, contained in four hives, were taken on the morning of Sunday, May 8, 2011. The monetary value of the bees, in the vicinity of $5,000-$6,000, is only part of the reason for the researchers’ dismay at the bee burglary. “This theft will undoubtedly hamper our research,” said lead researcher of the project Dr. Chris Connolly who called the theft “disheartening” for the research team. The thieves apparently worked quickly and had some knowledge of bee handling. Connolly stated that “The bees were there when I arrived at work on Sunday morning but were absent when I went to work on them 20 minutes later.” Police in the area are pursuing leads about a sighting of two men in a white van seen near the research center around the time of the theft. One of the men may have been wearing a beekeeper’s helmet. 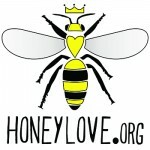 Dr. Connolly described the stolen bees as “very unique” and suggested they would be easily identifiable if recovered. Hmmm, let’s play armchair detective and think about this. Who would want to steal bees? It could be, as Dr. Connolly speculated, someone wanting the bees as breeding stock for the lucrative bee farming business? Large-scale bee businesses can earn hundreds of thousands of dollars by renting their hives to farmers for use in pollinating crops. 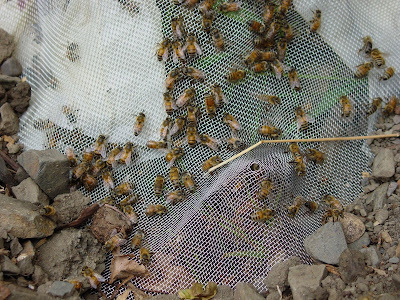 With the decline in bee populations due to CCD, bees have become scarcer, resulting in a growing apian black market. 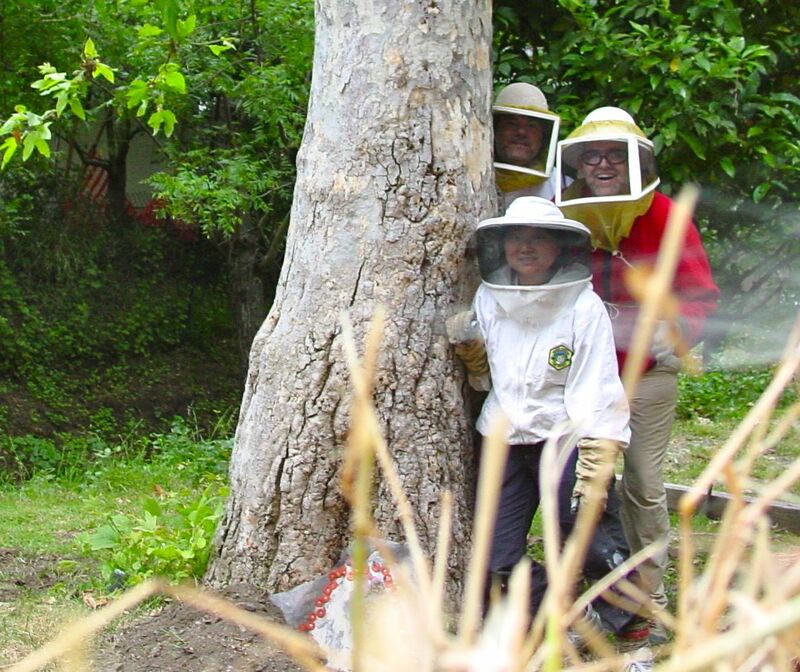 But unlike most bee thefts, this one took place at a university, not a bee farm. Is there another suspect? Remember, these bees were part of a research project investigating colony collapse disorder. Many scientists and environmentalists have speculated that CCD in bees, like white-nose syndrome in bats, afflicts pollinators because they come into close contact with plants sprayed with pesticides.